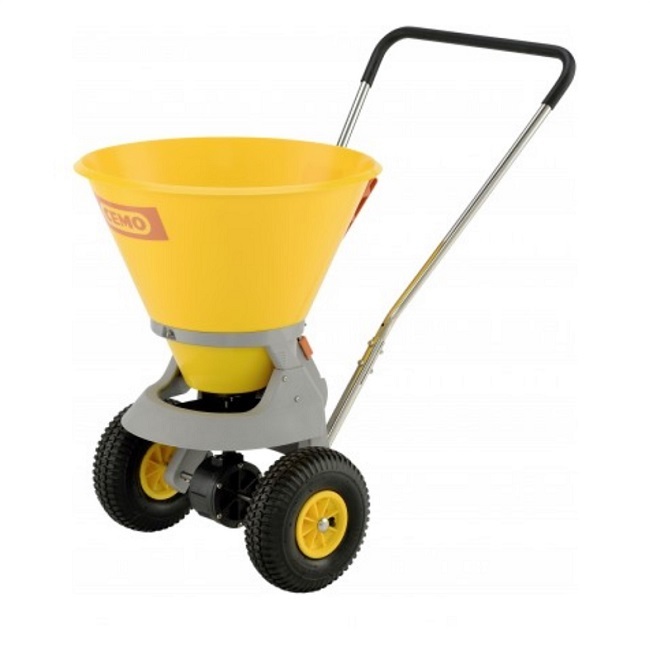 Replacing the SW 35-E version, this newer model of the Cemo salt spreader is a highly robust machine and is ideal for medium sized areas. 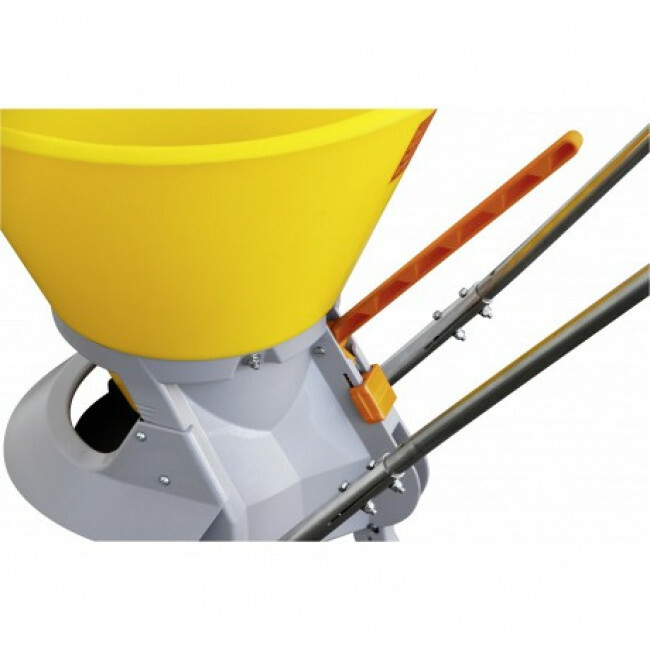 It has been designed specifically for winter salt and grit spreading around areas such as business premises, offices, industrial units and car parks. The spreading width can be altered between one and four metres and its x2 pneumatic wheels are designed with winter tread to ensure it can manoeuvre on snow and frost. 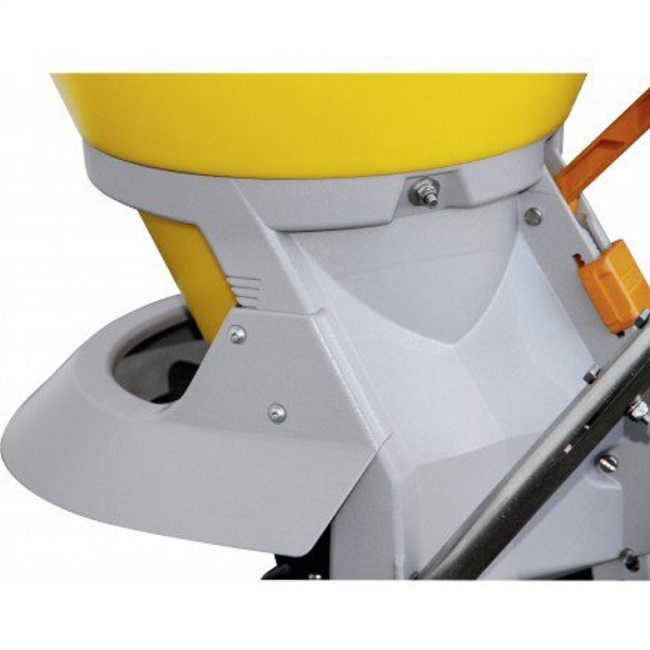 With stainless steel axles and a corrosion-resistant polyethylene hopper, this spreader will not rust upon contact with wet, snowy or icy surfaces. 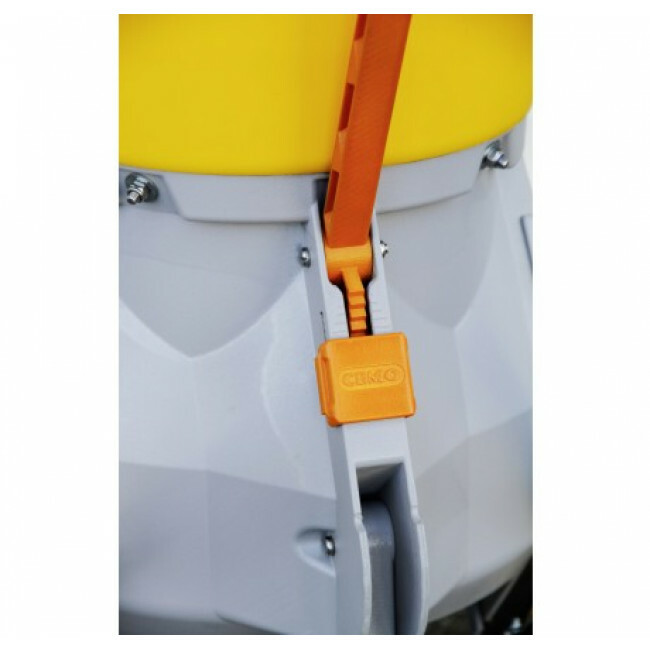 It features a generous 35 litre capacity and a collapsible support foot when the spreader is no longer in motion. This product is supplied prefabricated. Please note: This is not for use with conventional brown grit salt. For use with a variety of top grade processed salts.